All kids enjoy going to summer camp and having the chance to participate in the fun activities that happen during a camping session. At Elks Camp Grassick, we strive to provide fun opportunities for our campers to enjoy activities such as crafts, recreational games, and plenty of time spend at the waterfront on the beach, in the water, or going for boat rides! During our camp sessions, campers will attend a craft class each day. In crafts, campers get to make projects they will take home with them at the end of the session. Crafts include clay projects, bead work, painting, drawing, tye-dye, and many other fun craft activities. 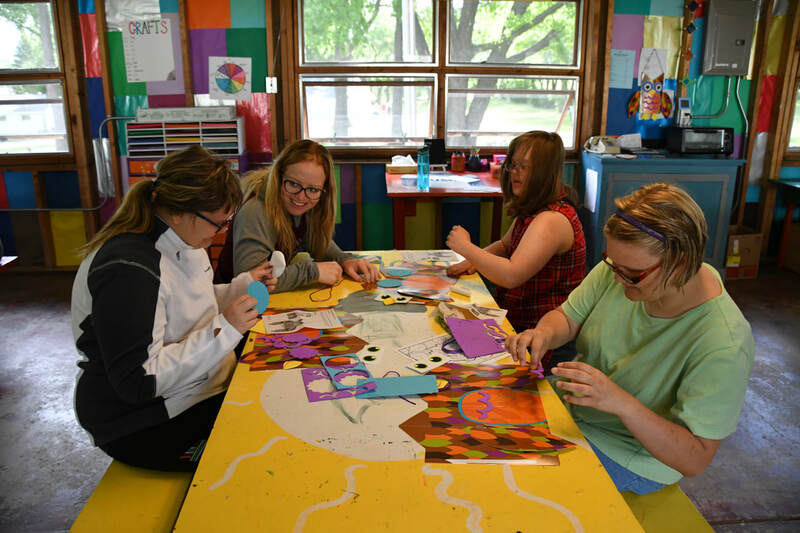 Not only do campers get the chance to create fun projects and interact with their cabin mates in crafts, but it also provides a chance for campers to work and increase their fine motor skills, as well as their listening, direction, and communication skills in a fun environment. Each day at camp, kids will attend multiple recreation classes that will include the campers from their cabin as well as 1-2 other cabin groups. In rec, campers will play games such as basketball, softball, kickball, ride the pony, relay races, and a variety of other games. Recreation is a time where campers get to be outside, if the weather permits, and enjoy the company of other campers and staff while working on gross motor skills. During our 2 week and 3 week therapy camps, campers will have one class a day at waterfront with their cabin, where they will work on general swimming skills and play games. During all of our camp sessions, there will be general swim in the afternoon where campers can enjoy time sitting on the beach, swimming in the water, and/ or going for boat rides on our canoes, kayaks, and paddle boats. Camp also has a pontoon that we use to go on longer boat rides and on fishing trips with the campers.